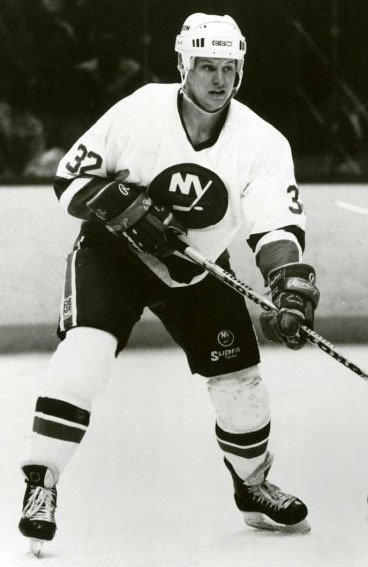 27 years ago tonight (1987) – Pat Lafontaine scored the game’s first three goals for his second career hat trick (first at the Coliseum) but the Isles would need an overtime goal from Brad Lauer to defeat the Washington Capitals 4-3. Lafontaine assisted on the winning goal as well after Larry Murphy, Dave Christian and Scott Stevens combined for three goals and nine points to force overtime. Just a little less than 7 months after LaFontaine broke the Capitals heart, he had another big game vs Washington. It was the first meeting of the teams since Lafontaine had scored the winning goal at 8:47 of the fourth overtime of game 7 of the previous season’s Patrick Division playoffs. Like that night, Kelly Hrudey sparkled in the Islander net. He told Newsday’s Jim Smith: It was tense…nerve-wracking. I like playing against those guys. They try to antagonize me. They do things around the crease. But the puck seems huge when they do. All that's doing is making me reach new heights. I wished we played them all the time." Also on this date: (2002) – Jason Blake scored the winning goal midway through the third period as the Isles beat Dallas 3-2. 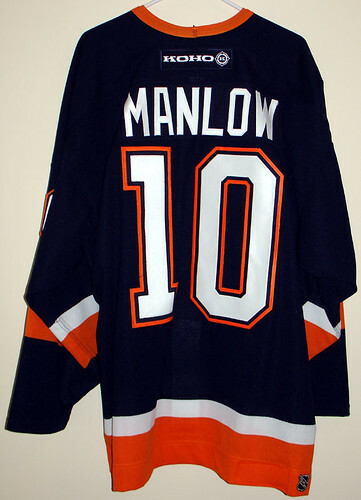 Eric Manlow had a goal and assist for the Isles in the only multi-point game of his career. Chris Osgood made 38 saves.